Owing to overwhelming response, online registration for International Yoga Day event, in which Prime Minister Narendra Modi is scheduled to participate, has been closed. All participants will have to reach the venue early, as there is no entry after 5 pm on 21 June. Though the Indian Meteorological Department has predicted clear weather on 21 June, but in case rainfall takes place the ‘Varsha Yoga’ (Rain Yoga) will be conducted. The participants will be provided waterproof pouch for keeping mobile phone and bags for shoes. Secretary Ayush, RK Sudhanshu, said that the compactor machine will be installed for immediate disposal of the garbage wastes. There will be enough personnel to collect the garbage and for maintaining cleanliness. 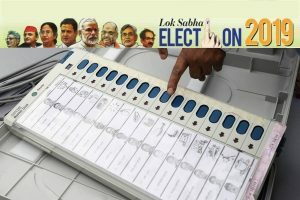 Fool-proof arrangements have been made for electricity, water, health services, security. Rehearsal will be done at the programme venue on June 18 and 19. It is mandatory for all the group leaders to attend it. One thousand buses will be stationed at the Rangers Ground- which will act as a temporary bus station for participants coming from Haridwar, Rishikesh and other places. In a move to create awareness about the International Day of Yoga, Uttarakhand Chief Minister Trivendra Singh Rawat participated in ”Walk for Yoga” from Gandhi Park to Deendayal Upadhyay Park in Dehradun on Saturday. 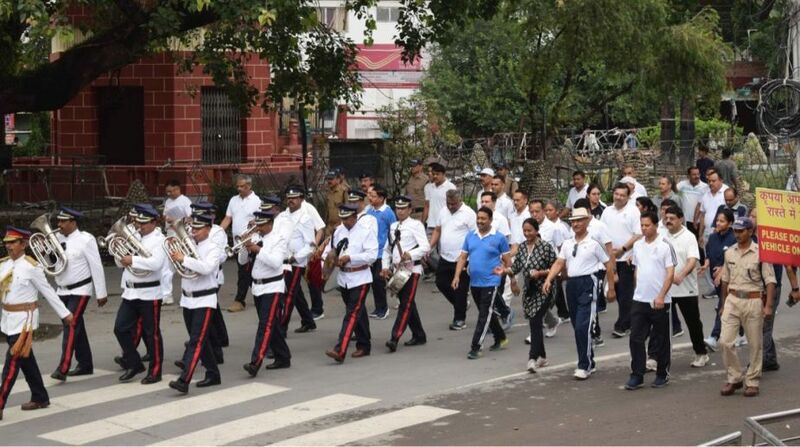 Police officers and staff participated in a similar walk in Dehradun on Sunday.